Please note: This is not your grandmother’s Christmas show. Guaranteed to be amazing, entertaining, funny, emotional, heart warming, hilarious, and maybe a little bold! Some mature language/themes may make an appearance. 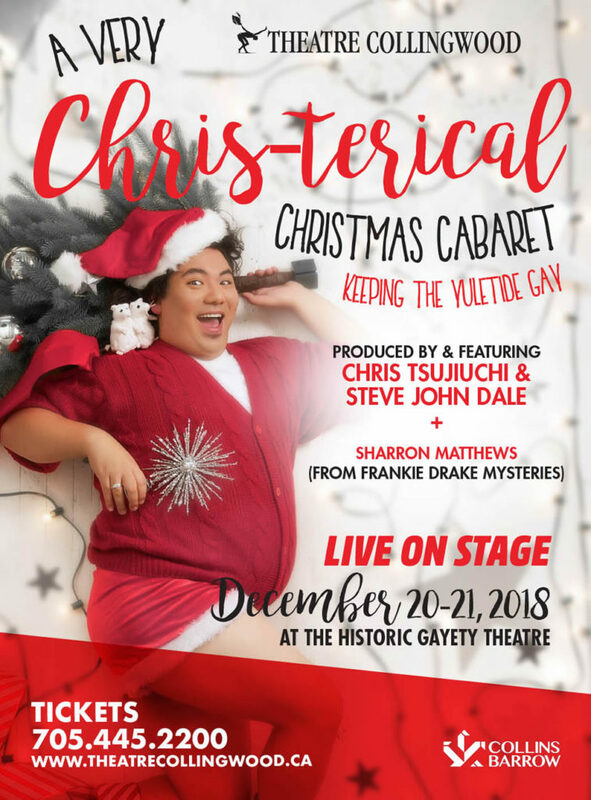 Our friend & very talented Musical Director, Chris Tsujiuchi produces a sold-out cabaret each Christmas in Toronto. Super fun, packed with talent, a little risqué (but not really). This cabaret will be a great mix of holiday music, musical theatre, and pop. Consider this a “morph” of our LOVE cabaret! A graduate of Sheridan College’s Musical Theatre Performance program, Chris’ Musical Direction credits include Over The Rainbow (Theatre Collingwood), Any Dream Will Do (Theatre Collingwood), Onegin (Musical Stage Company), 35MM (Toronto premiere), A Misfortune (Next Stage Festival), HAIR (FirstAct Productions), One Song Glory ’10 ’11 & ’12 (ActingUp Stage), A Joyful Noise (co-composer/lyricist, Smile Theatre), Mickey & Judy (Toronto Fringe), and bare: the Canadian Premiere (Waters Edge Productions). Chris has worked as an accompanist and teacher at Sheridan College, Randolph Academy, and George Brown College. He has toured extensively with the Nathaniel Dett Chorale as a singer, cabaret superstar Sharron Matthews as an accompanist, and can be seen in his biannual “Chris-terical” cabarets at Buddies in Bad Times Theatre. Come and celebrate the holiday season with Theatre Collingwood and Musical Director Chris Tsujiuchi! This super fun cabaret will be packed with outstanding performers sharing with us a great mix of holiday music/entertainment, musical theatre and pop music. Grab some friends and come out for a Christmas party like no other! Show Dates: December 20th and 21st, 2018. SHARE THE EXPERIENCE - Invite your friends! - Choose Your Platform!